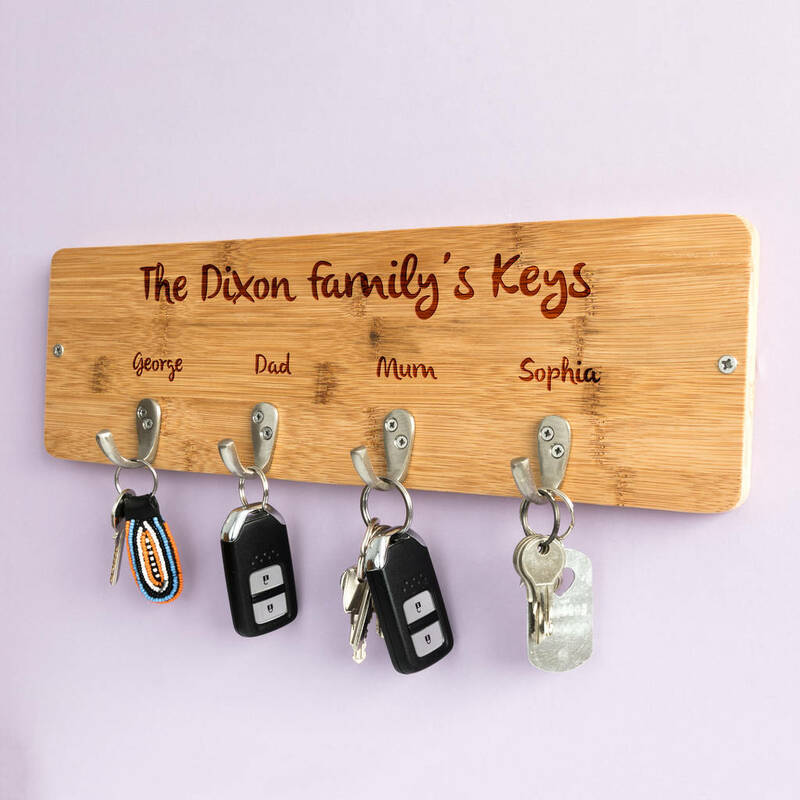 Never lose your keys again with our personalised key hook, made out of bamboo and personalised with the name/s of your family members. 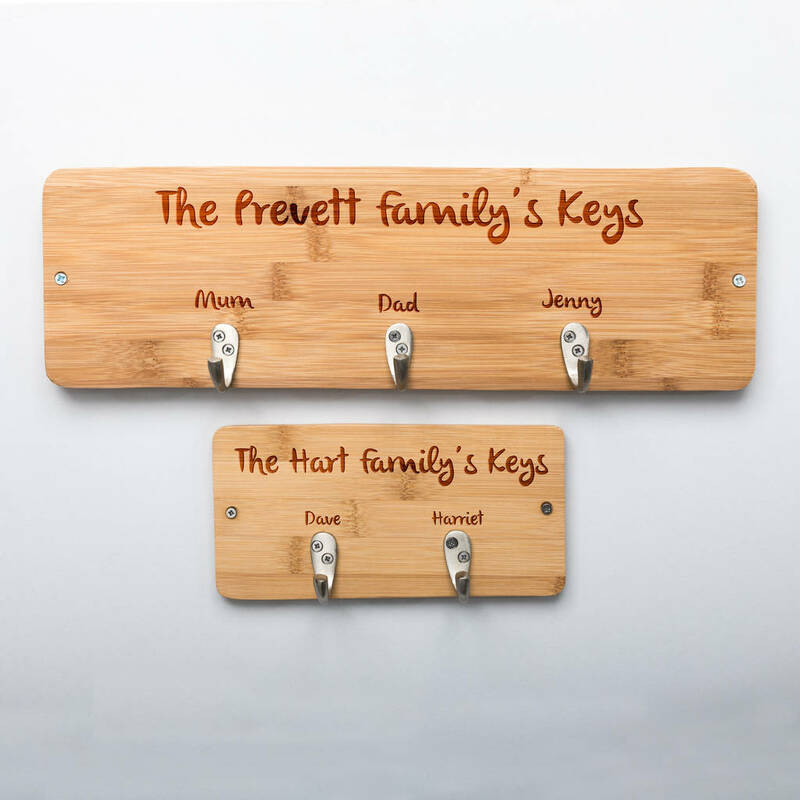 Personalise the key hook with any text and name/s. Please provide the required personalisation text in the box provided, entering it exactly as you would like it to appear on the product e.g. "The Dixon Family's Keys" and "George", "Dad", "Mum", "Sophia". The bamboo key hook is available in small and large sizes with one, two, three or four hooks. The metal hooks will be spaced evenly across the plaque. The wooden key hook is made from solid bamboo and the hooks are made from brass with a satin nickel finish. Small: 20cm (w) x 10cm (h) x 1cm thick. This product is dispatched to you by Mirrorin.